Robyn Williams Which Victorian scientist/engineer invented a form of television before John Logie Baird was born? And why have you never heard of him? He also invented sixteen different telephones which he installed around Ballarat before the GPO started and which were much admired by Alexander Graham Bell personally. Listen to the fascinating tale and why it is relevant to innovation today from our inaugural Henry Sutton orator: Robyn Williams of the ABC Science Show. "GENIUS: What Henry Sutton did in 1885 and how it Shows the Way for an Innovation Revolution in Australia"
Join TelSoc and Robyn for lunch on Wednesday 14th May 2014 at the RACV Club* in Bourke Street. TelSoc is launching the first "HSO" to coincide with the 140th anniversary of the Telecommunications Society in its various transformations. With your support it will become an annual event with an emphasis on science and engineering, history and innovation. 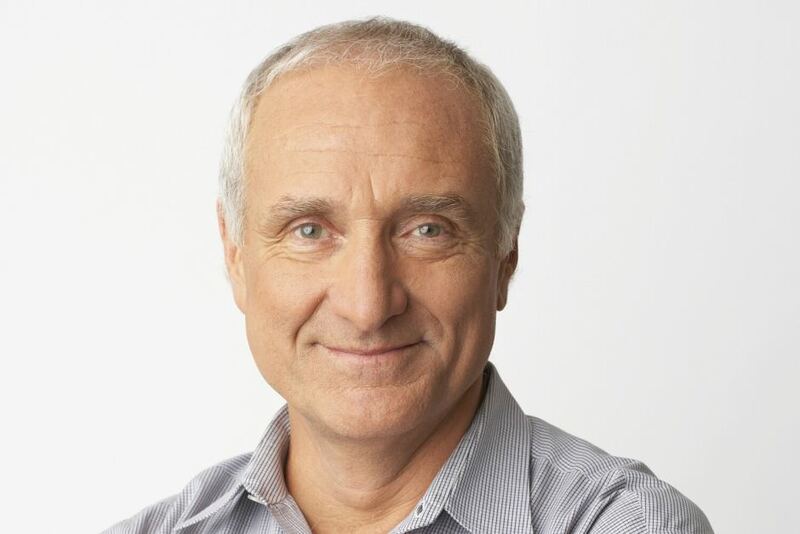 Science journalist and broadcaster Robyn Williams presents Radio National's The Science Show and Ockham's Razor. Although he graduated with a Bachelor of Science (Honours) in England, Robyn admits to spending as much time acting as studying. Early in his career he made guest appearances in The Goodies, Monty Python's Flying Circus and Doctor Who, and stood in for Tom Jones for four months in his TV series. He has conducted countless interviews with scientists on ABC TV on programs such as Quantum and Catalyst, narrated the Nature of Australia series and appeared in World Safari with David Attenborough. Outside the ABC, Robyn has served in various capacities, including president of the Australian Museum Trust, chairman of the Commission for the Future, and president of the Australian Science Communicators. In 1987, he was proclaimed a National Living Treasure. In 1993, Robyn was the first journalist elected as a Fellow Member of the Australian Academy of Science. He was appointed AM in the 1988 Australian Bicentenary honours list and in the same year received honorary doctorates in science from the University of Sydney and Macquarie and Deakin Universities. The ANU awarded him a doctorate of law, and he is a visiting professor at the University of NSW and an adjunct professor at the University of Queensland. A Reuters fellowship at Oxford University allowed him time to write his autobiography, And Now for Something Completely Different. He was a visiting fellow at Balliol College Oxford in 1995-96. Robyn has written more than 10 books, the latest being a novel, 2007: a true story waiting to happen. Individual: $130; Table for 10: $1,300. Discount of $40 per person for financial members and sponsors.